FDN provides produce, breads, desserts, dairy, deli, and groceries (if available) to the programs listed below. Contact us if you know of a community program that needs food. Loaves and Fishes. Free daily meals. All are welcome. No income guidelines. St. John’s Church, 210 N. Cayuga St., Ithaca; Monday, Wednesday, Friday at 12pm; Tuesday, Thursday at 5:30 pm. Ithaca Kitchen Cupboard. 150 N. Albany St., Ithaca; Mon.–Thurs. 1:30–3:00pm, Fri. 1–2:30pm. Food is shared with Ithaca Youth Bureau Paul Schreurs Memorial Program, Ithaca High School PTA, The Jenkins Center, and Varna After School Program. Lansing Food Pantry, 4th Mondays only. The Rink 1767 East Shore Drive, Lansing, 1:00-3:00pm. Lansing residents only. Caroline Food Pantry, 1st and 3rd Mondays. Brooktondale Community Center, 524 Valley Road, Brooktondale, 5:00-7:00pm. Enfield Food Distribution. Enfield Community Building, 182 Enfield Main Rd. 1:30–3:30pm. Enfield residents only. GIVE- Giving Involves Virtually Everyone, 4th Mondays only. 5–5:30pm at LACS, 5:30–6pm at Dig’Nity Gardens @ West Village. Immaculate Conception Church Food Pantry. 113 N. Geneva St., Ithaca, 1:00-2:00pm. Healthy Tuesdays at Groton Public Library, 112 E. Cortland St., Groton, 6:00pm. Bread of Life Food Pantry. 1 Water Street, Candor, 3:00-5:30pm. Candor residents only. Halsey Valley Helping Hands Pantry. GAR Building, Hamilton Rd, Halsey Valley, 2–2:45 pm. 4/4, 4/11, 4/18 only. Food is shared with Community Justice Center/Alternatives to Incarceration, Renovation House, A Place to Stay, Mentors for Change, The Advocacy Center. Danby Food Pantry, April 25th. Danby residents only. Danby Federated Church, 1859 Danby Road, Danby, 3:00-6:00pm. Spencer Van Etten Community Food Cupboard. All residents of the Spencer Van Etten school district welcome. Spencer Federated Church, 70 N. Main St., Spencer. January to October: 2nd Thursday of the month 5–6 pm and 4th Thursday of the month 9:30–10:30 am. Nov. 16 and Dec. 21 from 9:30 to 10:30 am and 4:30 to 5:30pm. Interlaken Reformed Church Pantry. 8315 Main Street, Interlaken, 3:00-6:00pm. Food is shared with non-profit programs, including: Big Brothers Big Sisters; Dryden O.U.R.S and Y.O.U.R.S. ; Ithaca Kitchen Cupboard; New Roots Charter School; St. John’s Community Services; Second Wind Cottages; Varna After School Program; 4-H Urban Outreach; College Discovery Program; Open Doors; OAR; outreach to low-wage work sites, senior housing and rural families. Food Not Bombs, serving free vegan food at Shawn Greenwood Park/DeWitt Park, 12:00pm. Free hot meal served at Salvation Army. 150 N. Albany St, Ithaca. Saturday 12pm; Sunday 3pm. No meal on the 3rd Saturdays. Food for All, Lodi’s Community Pantry, Lodi Presbyterian Church just south of the village of Lodi on Rte. 414, 3pm–5pm. 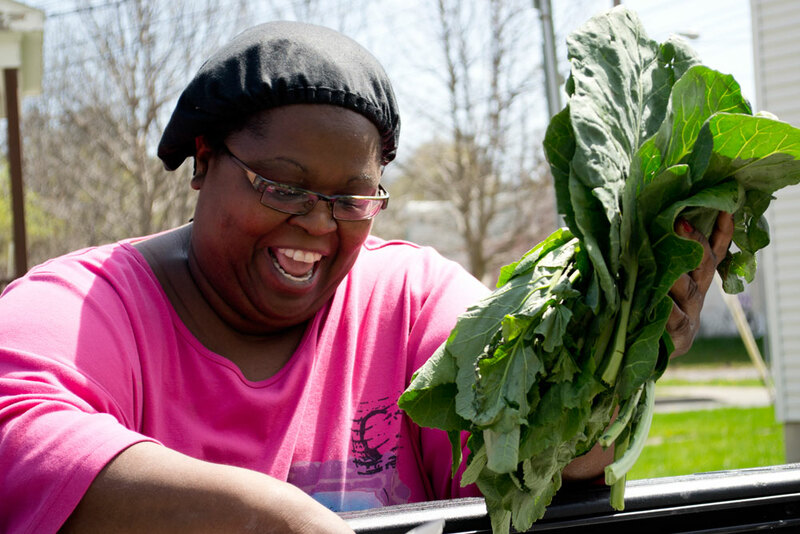 1st Saturday: Southside Community Center Pantry, 305 S. Plain St, Ithaca, 12-2pm. 2nd Saturday: Grace Lee Wesleyan Church Pantry. 2075 Chambers Rd., Beaver Dams, 1pm. 2nd Saturday: Free meal served at Southside Community Center Pantry, 305 S. Plain St, Ithaca, 1–2pm. 3rd Saturday: Linderman Creek Pantry. 201 Cypress Court, Ithaca, Community Room, 12pm. 3rd Saturday: Calvary Baptist Church Pantry, Open to All. 507 N. Albany St., Ithaca, 10am-12pm. 4th Saturday: Southside Community Center Pantry, 305 S. Plain St, Ithaca, 12–2pm. 4th Saturday: McLean Community Church. 50 Church St, McLean, 1:30-2:15pm. Reach Out For Christ Church Pantry, Open to All. 318 Johnson Road, Freeville, 1-2pm. Enfield Food Distribution. Enfield Community Building, 182 Enfield Main Rd. 12:00–1:00pm. Enfield residents only. Overlook Apartments Pantry. (4/14, 4/28) 1263 Trumansburg Rd, Ithaca, Community Room, 12-12:30pm.